The 6th Dragoon Guards was stationed at Canterbury, Kent when Britain declared war on Germany on 4 August 1914. The Regiment was mobilized and landed in France in August 1914 as part of the 4th Cavalry Brigade, Cavalry Division which became the 1st Cavalry Division on 16 September 1914. The 6th Dragoon Guards only served briefly with the 1st Cavalry Division as the 4th Cavalry Brigade was transferred to the 2nd Cavalry Division on 14 October 1914. The 6th Dragoon Guards served with this formation for the remainder of the war on the Western Front. In September 1919, the Regiment left France for Ireland where it was stationed at Curragh. If you would like to learn more about the 6th Dragoon Guards (Carabiniers) in the First World War then I’d recommend downloading the Regiment’s first war diary which I have discussed below. The 6th Dragoon Guards’ war diary (see below) is good and should be downloaded as it provides a lot of information regarding the Regiment’s service during the war. Officers: Hopefully, a service record has survived and if it has it will either be located at the National Archives (I offer a copying service for these files) or held by the Ministry of Defence (MOD). Unfortunately, many have been destroyed. If an officer served past April 1922 then you will have to order the file from the MOD: Ordering a Service Record from the MOD. The war diaries I have discussed below frequently mention officers so look through them. Also, have a look at my articles on searching the London Gazette, and Hart’s Army List. 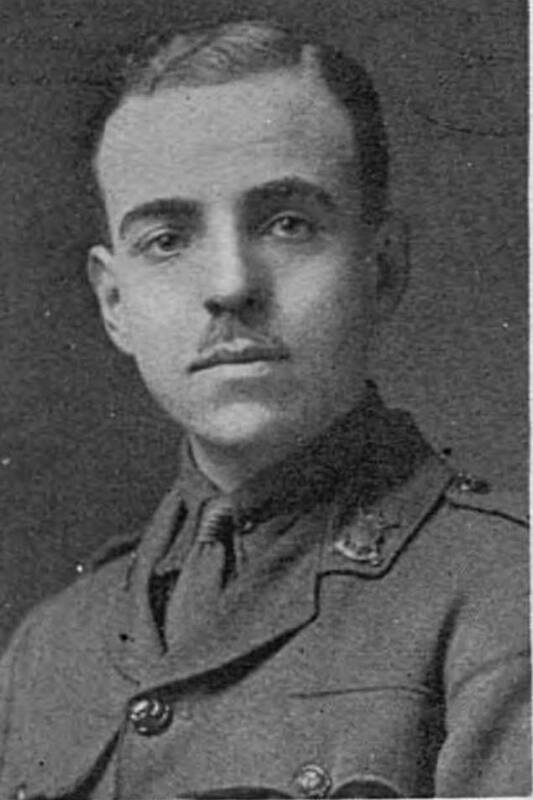 This portrait of Second Lieutenant John Eric Bovill who was killed in action on 23 January 1916 was published in The Sphere which is a great resource to search when researching officer casualties. The newspaper has been digitized and is available to search on FindmyPast. As an officer casualty in a cavalry regiment, Bovill would be easy to research and there is a service record at the National Archives: WO 339/23642. Bovill’s catalogue entry recorded his Regiment as Dragoon Guards rather than 6th Dragoon Guards (Carabiniers) which is typical of the National Archives’ cataloguing. Other Ranks: Have a look to see if a service record has survived but many were destroyed during the Blitz. If a soldier continued to serve past January 1921 then their service record will be with the Ministry of Defence: Ordering a Service Record from the MOD. If no service file has survived then it could be that only medal records have: Medal Records. If you know a soldier’s regimental number you can often work out an approximate enlistment date. To research a soldier who served with the Regiment you will need to look at the records on both FindmyPast and Ancestry. Fortunately, both offer free trials and if you’re in Britain, you can usually view the sites for free at your local library. Clicking on the banner below will take you to FindmyPast. 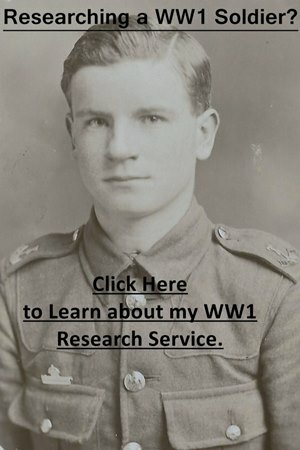 Both the war diaries below have been digitised and can be downloaded from the National Archives’ website for a small fee by clicking the hyperlinks (blue text). Notes: A good war diary which contains over 400 pages detailing the 6th Dragoon Guards’ activities during the First World War. Notes: A short war diary which contains brief entries. Unfortunately, there was no regimental history published for the Regiment concerning its role during the First World War. In the extract from the 6th Dragoon Guards’ war diary below, the Regiment was in the trenches near Ypres on 2 May 1915 when they come under a heavy artillery bombardment which includes gas. In the trenches all day. All was quiet during the morning and early part of the afternoon. Weather rather misty. 4 PM. Orders received to get all entrenching tools collected in view of relief during the night. 5 PM. Orders received for Regiment to evacuate the trenches and march back to our horses near Vlamertinghe at 5.30 PM. 5.05 PM. A C Squadron sentry reported that he could see German gas blowing in out direction so respirators were at once put on. A very heavy rifle fire commenced and we were heavily shelled with high explosive shells full of gas. This bombardment lasted until 7.00 PM and was extremely violent. A few men were overcome by the gas but the respirators proved to be efficient. 5.15 PM. Troops on our left seen to be going back from their trenches having suffered badly from the gas so part of 3rd Cavalry Brigade was brought up in their place and our left flank was made secure. Gas did not appear to effect the front line trenches and the German attack was not pressed. 8.00 PM. Line reported to be intact. The Regiment had a few casualties from the bombardment owing to the men keeping well under cover we did not suffer very heavily. 3 May 1915: 1.20 AM. Received orders to evacuate our trenches at 1.45 AM. Tools were at once loaded in the pack horses and spare kit was taken to a lorry at BHQ.